We are not criminals. We are escaping from criminals. 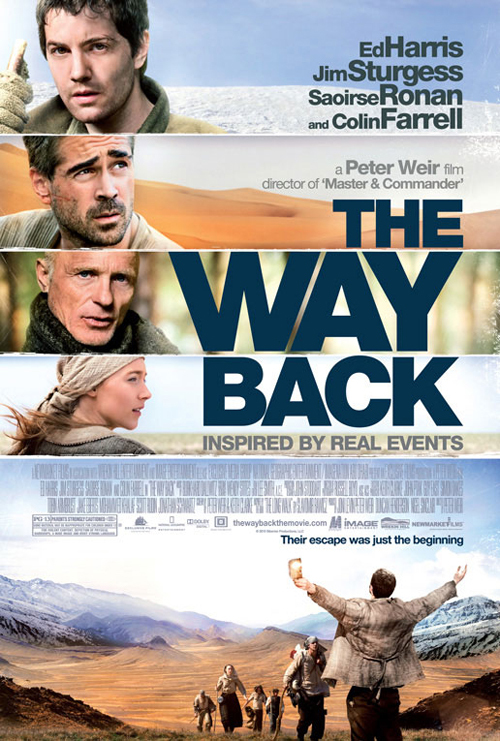 Peter Weir's first film in seven years takes as its basis the "true" story of prison escapees from a Siberian gulag in 1941 as they trek 4,000 miles to India. The scenes in the gulag are enthralling but, once they have escaped, repetition then set in to the narrative (the battle for survival against the elements and starvation, with hunger as a constant). It’s this that prevents the film from being a ****. Weir's filmmaking is magnificently assured, though, and the vistas captured by cinematographer Russell Boyd are stunning. Cast-wise, Jim Sturgess (as the group's leader), Ed Harris and Colin Farrell give their all for their director. There's also support from Saoirse Ronan as a girl they meet on the trek with Mark Strong typically solid as a fellow prisoner.